Valuable cars are an achievement plateau that many of us aspire to reach but there are those who are always looking for the opportunity to abuse our trust and commandeer a valuable vehicle for a joy ride when the opportunity presents itself. 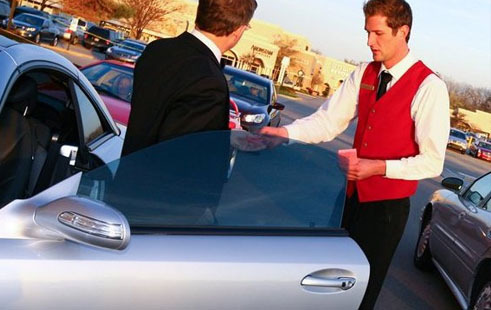 When you turn over a valuable asset like an expensive sports car to a valet, don’t assume that they can resist the temptation to take it for a joy ride. Protect your car with a GPS tracker. GPS vehicle trackers are simple and easy to use and can be installed on any vehicle. Vehicle trackers most commonly contain a mobile phone SIM card allowing them to communicate their location frequently and cheaply. More advanced trackers can transmit back to another satellite network allowing the vehicle (or asset) to be tracked anywhere! Even in remote areas. GPS trackers allows you monitor the location of your car and receive and instant alert if it leaves a previously established perimeter (geofence). 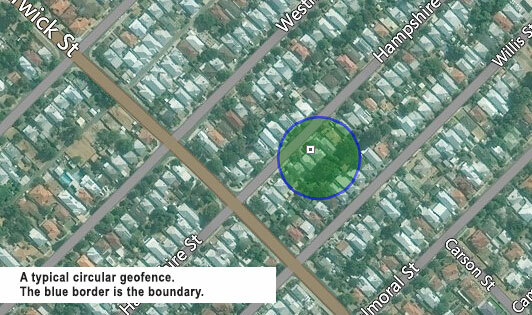 A geofence is a virtual boundary set by GPS co-ordinates. Sounds technical but they are quite simple to set and use. Software functions on Live Tracking services or a complimentary mobile phone app can set these geofences with a push of a button or a few clicks on a mouse. Below is a picture of a map with a geofence boundary (perimeter). If the vehicle does leave this geofence perimeter you can choose to activate the alarm and ignition kill feature to stop the unauthorised use. Geofence violations can either be sent as a text message to your mobile phone or via email. Obviously receiving a text message is very useful as you can make a quick decision whether to disable your car from further movement (once the ignition has been switched off). If your vehicle has been moved without your authorisation then you will be able to locate and recover it quickly before additional damage, further theft or having your car stripped down for parts. The GPS tracker will provide the coordinates for where the vehicle is located allow authorities to step in and recover the vehicle. Taking an expensive sports car out should not mean you cannot park it safely and securely. Install a GPS tracker and you will have the peace-of-mind wherever you may leave your valuable vehicle.